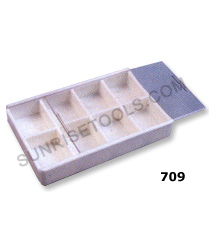 Description :- The Stone Displaying Box with Eight Compartments is made up of plastic and is used for displaying various stones in jewellery stores. The Stone Displaying Box with Eight Compartments is capable of displaying eight different stones at a time. 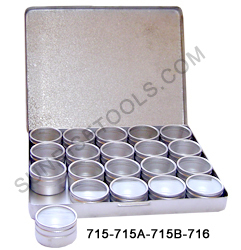 Description :-This 18 compartment plastic box is made from durable plastic and ideal for organizing watch parts, screws, findings, gemstones, or other small items, also used for storing professional watch tools or other small tool kit. 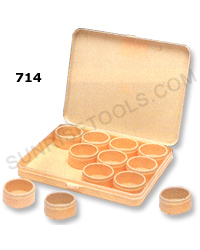 Description :- These bead containers are made of plastic. The container is always has many interseptal grids inside. 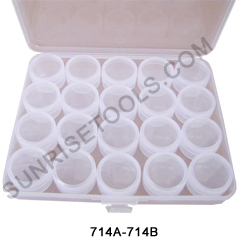 In this case your jewelry beads can be put in the container tidily by type. Each of them has a cover to protect beads from scatteering. 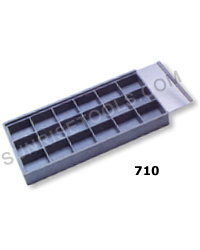 Description :- Plastic Compartment Box - Ideal for organizing, storing and protecting a wide variety of small parts. 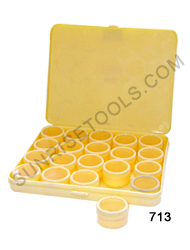 No mixing of compartments once the cover is closed. 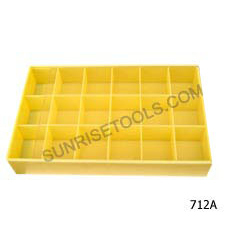 712A Large box plastic with 18 compartments sizes: 10.1/2"X6.3/4"X1.1/2"
715 Boxes aluminium rectangular 33mm x 12 pcs. 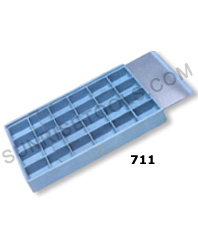 715A Boxes aluminium rectangular 41mm x 12 pcs. 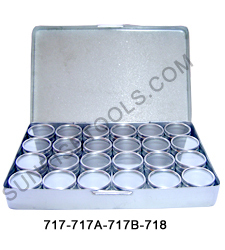 715B Boxes aluminium rectangular 53mm x 12 pcs. 716 Boxes aluminium rectangular 33mm x 20 pcs. 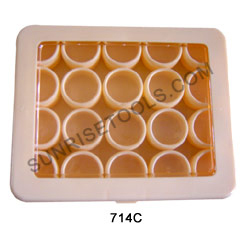 717 Boxes aluminium rectangular 26mm x24 pcs. 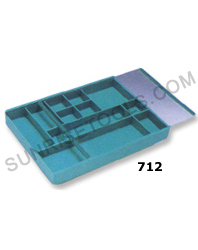 717A Boxes aluminium rectangular 36mm x15 pcs. 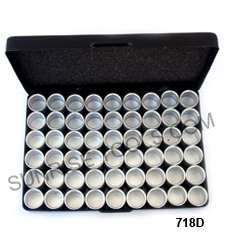 718 Boxes aluminium retangular 18 mm x 54 pcs. 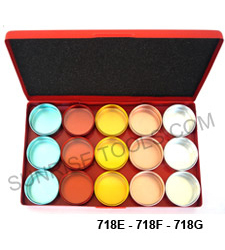 718A Boxes aluminium Coloured 33mm x 20 pcs. 718B Boxes aluminium Coloured 36mm x 15 pcs. 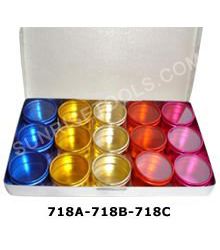 718C Boxes aluminium Coloured 53mm x 12 pcs.